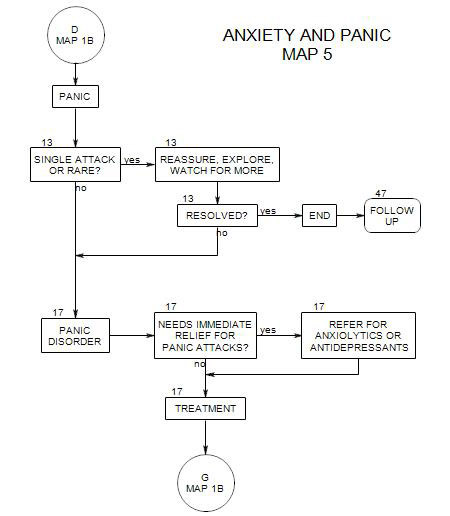 This map expands on Map 1B and returns to it.Panic attacks are extremely upsetting to people and must always be taken seriously. However, a single panic attack [Section 13] is treated differently from a series attacks [Section 17].Also, panic attacks generally occur in the context of other issues, especially stress, so that treatment of the panic is seldom sufficient to relieve the patient completely. For this reason, the map points back to Map 1B, where other issues are considered.